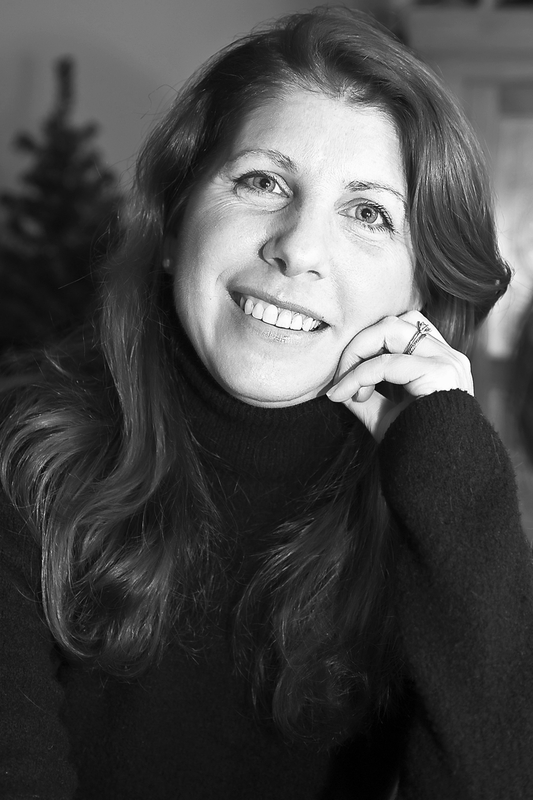 Heather Killough-Walden is the New York Times and USA Today Bestselling author of the Big Bad Wolf series and The October Trilogy. For the last three weeks, her e-book Forever Neverland has been on the Kids' E-book Bestseller List in the Teen section of BarnesAndNoble.com. What is Forever Neverland about? What happens after? When the Darling children are returned by Peter from Neverland, they are faced with a barrage of problems ranging from disbelieving parents and psychologists to the snide treatment of their peers. Forever Neverland picks up five years later, but with a few new twists, re-introducing a now "grown up" Peter, a misunderstood pirate captain, and a young story teller who must learn and accept who and what she truly is if she wants to save everyone she loves. What is your target audience? How do you believe the e-format works for that audience and serves their needs? I specifically wrote Forever Neverland with a wide range of audience ages in mind. My seven-year-old daughter loves certain aspects of it, and my internal romantic loves other aspects of it. I honestly don't see a difference any longer between eformat and print books as far as their effect on the audience is concerned. They're both consisting of words, and they can both be read by anyone at any time. Tell us how you got published: traditional or independent? I tried for ten years to get published the "traditional" route. I have three hundred rejection letters in my closet. I guess I couldn't write a query letter to save my life. Then along came Kindle, and there was suddenly a light at the end of that seemingly infinite publication tunnel. Without ebooks, I wouldn't be where I am now. It was through independent epublishing that I made it to the New York Times bestseller's list. I think it has its ups and downs. On the one hand, it has helped to achieve one of my dreams. Without it, I honestly wonder whether I ever would have been published. I have my doubts. The fact that I've done so well in the eformat world has also helped me to finally land a world-class agent and a print publishing deal with a major publishing house. Those are all good things. On the other hand, I started on tenuous footing, unsure of my own worth as an author, and uncertain of how the ebook phenomena would fare in the world. Because of this, I priced my books at an exceedingly low price. They're worth a good deal more than I charge, but now my readers have grown used to my discounted prices. In fact, ebook readers everywhere often expect an unfairly low price with ebooks, and that can be a problem. While I agree that the middle man fees of distribution and cover design, etc., should be absent in an ebook's price, I have to tell you from experience that the author works no less and should get paid no less. In fact, in epublishing the author tends to work much more than in print publishing because he or she not only has to write the book, but is also in charge of the editing, the cover design, the marketing and so forth. So, pricing expectations can be a down-side. Check out all of Heather's novels at Amazon and on Barnes and Noble Nook. You can also learn more about Heather and her books at her website, her Facebook page, and by following her on Twitter. She also has a newsletter you can sign up for through the contact form on her website. Get to know some new authors on this week's Kids' E-book Bestseller List. Is it me, or does it seem like the Hunger Games/Catching Fire/Mockingjay dominance of the top spots may be cracking? Keep checking back to see what authors will be in the lead in the weeks to come. 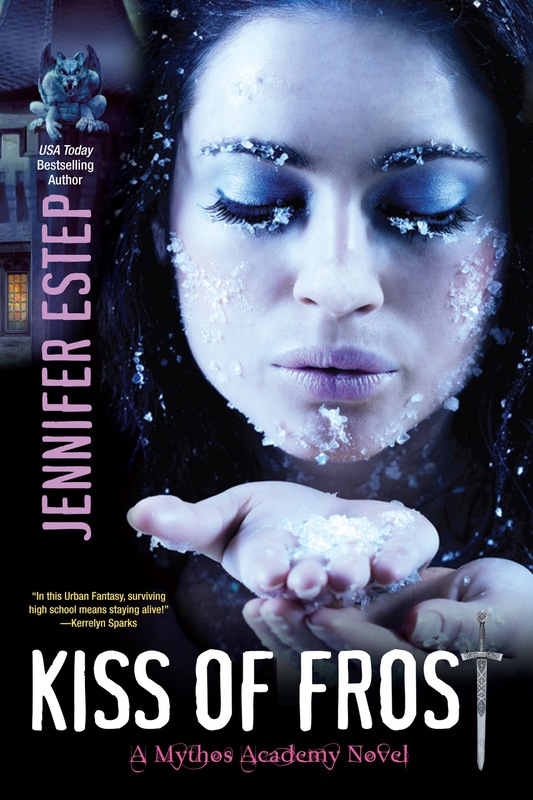 This week we get to meet Jennifer Estep. Her e-book, First Frost, took the number 6 spot on July 30th in Amazon's Children's and Young Adult section. 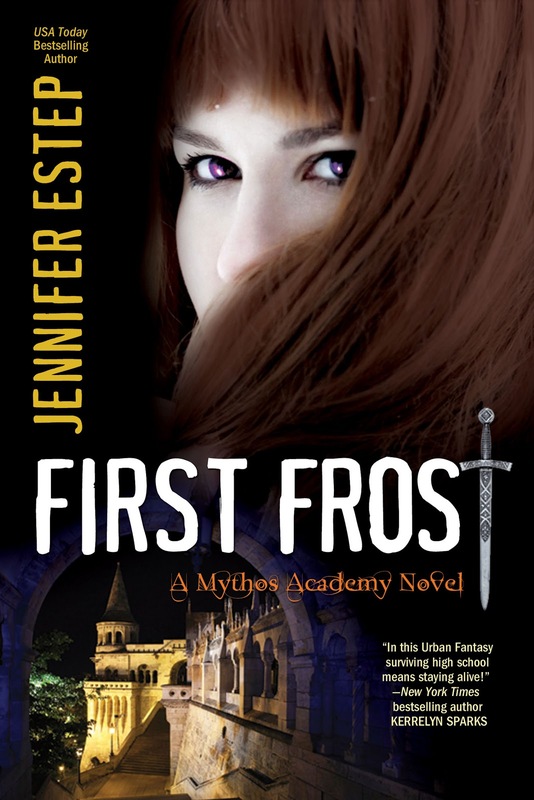 Jennifer explains, "First Frost is a prequel e-story to my Mythos Academy young adult urban fantasy series. It’s available as a 99-cent download." Jennifer is using the e-format as a way to introduce readers to her series of print books. 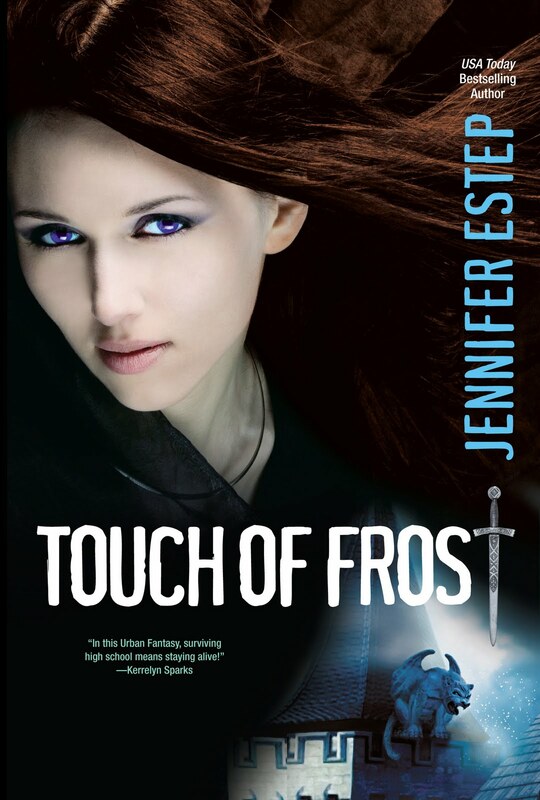 First Frost (and the rest of the Mythos Academy series) focuses on Gwen Frost, a 17-year-old Gypsy girl who has the gift of psy­chom­e­try, or the abil­ity to know an object’s his­tory just by touch­ing it. After a seri­ous freak-out with her magic, Gwen is shipped off to Mythos Acad­emy, a school for the descen­dants of ancient war­riors like Spar­tans, Valkyries, Ama­zons, and more. Basically, the series is about myths, magic, monsters, and mean girls. Folks can read excerpts and more from First Frost and the rest of the Mythos Academy books on my website.. I believe the e-format helps me as an author. If someone is interested in one of my books, they can go to Amazon, etc., and instantly download it, instead of having to wait for a book to be shipped to them or until the next time they go to the bookstore. I think folks like being able to get the book immediately. Plus, with an e-reader, you can store hundreds of books on one device and take all those books with you wherever you go. E-books definitely seem to be a growing market, and I think in a few years that e-readers will be just as common as cell phones. Whether they prefer paper or e-books, I just think that it’s important for people to read since reading really is one of the great joys in life. As far as social media goes, I’m on Facebook, Twitter, and Goodreads. I also have a website and a blog, and I guest blog on various book sites. Tell us how you got published: traditional or independent? How long ago? My path to publication was more traditional. I wrote seven books over the course of several years before I sold my first book, which was published in 2007. Since then, I’ve had eight books published and have several more books coming out in the next year, for adults and young adults. I’ve also recently reissued my Bigtime (adult) superhero paranormal romance series as $2.99 e-books. 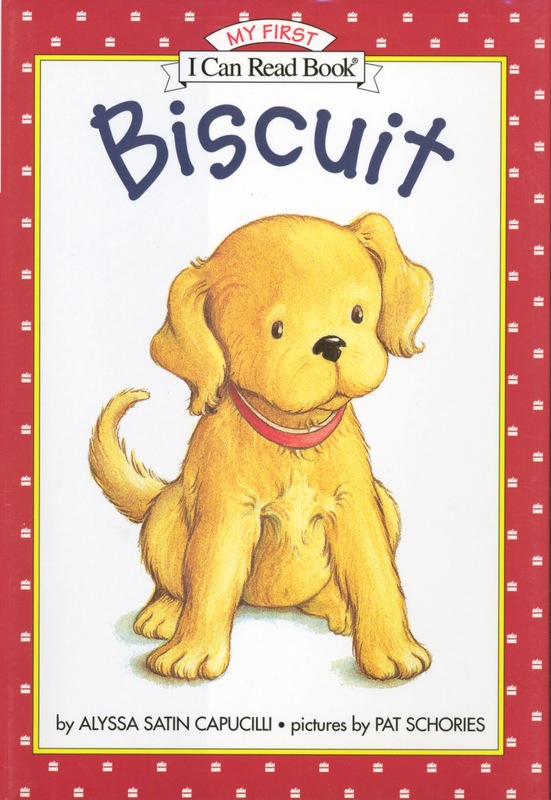 Don't forget to check this week's Kids' E-book Bestseller List. Every week we see new authors making it through to the top ten! Jayde Scott: Two E-Books, Top Ten, in Under Four Months! Last Saturday Jayde Scott had two Top Ten e-books in the Teen section of Barnes & Noble. Both are part of her young adult paranormal romance series called Ancient Legends. 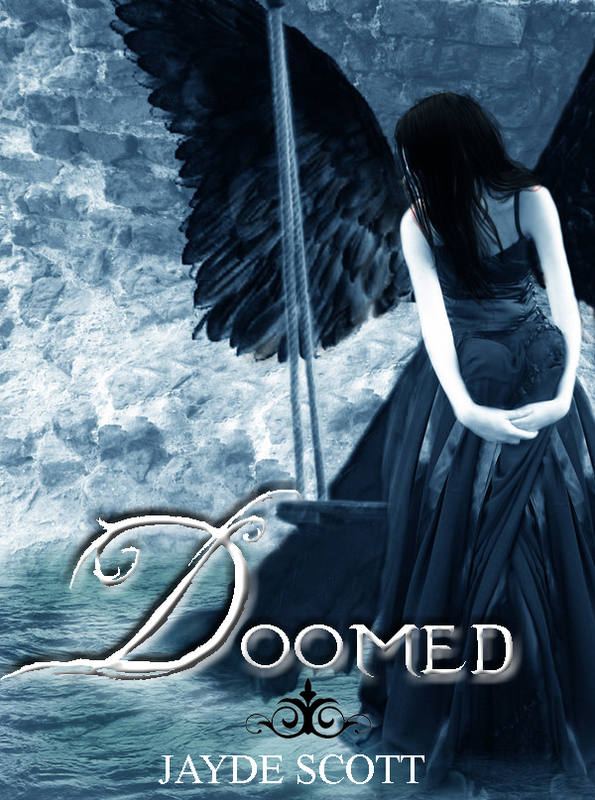 A Job From Hell, published in May, hit the number 6 spot, and the second book, Doomed hit the number 7 spot even though it was just published on July 15th! . She joins us this week to talk about her e-book success. Jayde, get us started with a summary of the first book, A Job From Hell. 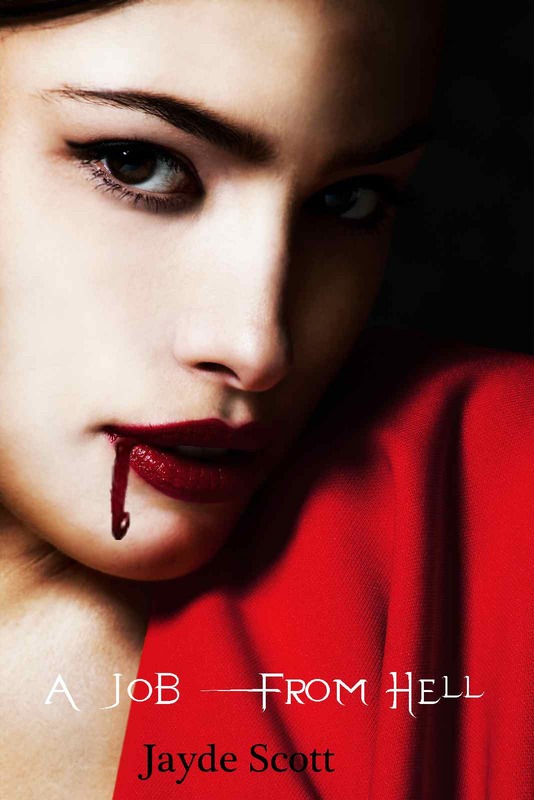 Hidden from mortal eyes are the creatures of darkness that coexist with mortals: Shadows, vampires, fallen angels, demons, shape shifters, succubi, and the likes. Seventeen-year-old Amber enters their world by chance when her brother, Dallas, sets her up with a summer job in Scotland. Dallas has spied something in the woods he thinks could make them rich beyond their wildest dreams. But instead of finding riches, Amber unknowingly enters a paranormal race—and promptly wins the first prize—a prize for which many would kill. As the dark forces slowly conspire against Amber, her naivety and love for the immortal bounty hunter, Aidan, catapults her into a calamitous series of otherworldly events. Tell us about the path you took to publication. After years of querying agents and publishers, and much soul searching, I decided to go with the independent publishing route. I struggled with unemployment because of the difficult job market in the UK, during which I kept querying for the six books I wrote in the last ten years. Most queries ended in rejection letters. Some requested edits and a resubmission. Following two full edits with a publisher for A Job From Hell, I decided I didn't want to waste my time waiting for a miracle to happen so I took matters into my own hands and published my first teen book last year, followed by A Job From Hell and Doomed in May and July 2011, respectively. I figured I had nothing to lose by going the independent route, which turned out to be quite challenging but also the right one for me. I love independent publishing because it gives me full control over what I write and how I present my work. Choosing cover art and designing a book trailer are my favourite pastime activities and I wouldn't be happy with someone else doing my covers for me because I really enjoy creating them. I'm still thinking it would be nice to find a traditional publisher to ease my workload when it comes to marketing, but I know I don’t really need one. What were your initial thoughts about e-publishing? And have those initial thoughts changed now that you’ve done it? I’ve always been a huge fan of e-publishing and e-readers. The reason is that, as an environmentalist, I'm not keen on chopping down trees for the sake of paper. So anything that helps our environment and stops trees from being cut down is something I’m happy to embrace. I was hesitant to give e-publishing a try, but only because I wasn't sure what to expect or whether I'd find my way around. At the same time, I was also excited to try something new and couldn't wait to get my work out there to get feedback from readers outside my critique group and the authors community. My thoughts on e-publishing haven't changed. The digital age has completely eliminated many of the obstacles writers used to face such as having to spend ages to find an agent or publisher who might want to take a second look at our work, and for that I'll always be extremely grateful. I'm a huge believer in e-publishing and would encourage anyone who's not afraid of putting in twelve hours a day and learning as they go along to give it a try. If I were to travel back in time and do it all over again I would, minus the few bad mistakes. Your books climbed to the top of the list rather quickly. Tell us about your marketing and use of social media. I'm an active Goodreads member where I like to keep in touch with readers and other authors. My activities involve chatting in the forums and reviewing books. Having a presence there certainly helps my books' visibility. My blog is aimed both at readers and fellow writers and displays information about my work as well as other issues applicable to writers such as marketing and promotion. In addition to that, I offer reviewers free copies of my books in the hope they might want to write a few sentences about my work. Most reviewers have a huge backlog, so patience is the key as well as being appreciative of their time and effort, even if they decide not to review or feature the book. However, most of my exposure probably comes from Twitter and Facebook where I have author pages set up and post at least twice a day with links to Amazon. Learn more about Jayde and her books by clicking on the links I've provided in the last paragraph. And look for the 3rd e-book in the Ancient Legend series, Voodoo Kiss, due out on November 30th. I hope you enjoy meeting these fascinating authors and hearing about their e-publishing successes. Check out this week's Kids' E-Book Bestseller List to see the up-to-date top ten lists.